When looking at your to-do list and you see “Create new Facebook ad campaign,” I’m sure the last thing you think is: Sure. No sweat. Piece of cake. That’s because Facebook advertising is getting tougher by the day. With every small business that jumps on board, adding “advertiser” to the lengthy list of hats they wear, the competition piles up. Thus, increasing the chances of your potentially money-winning ad going up in smoke. Is that what you want? Didn’t think so. But, do you know the secrets to creating an out-of-this-world ad? 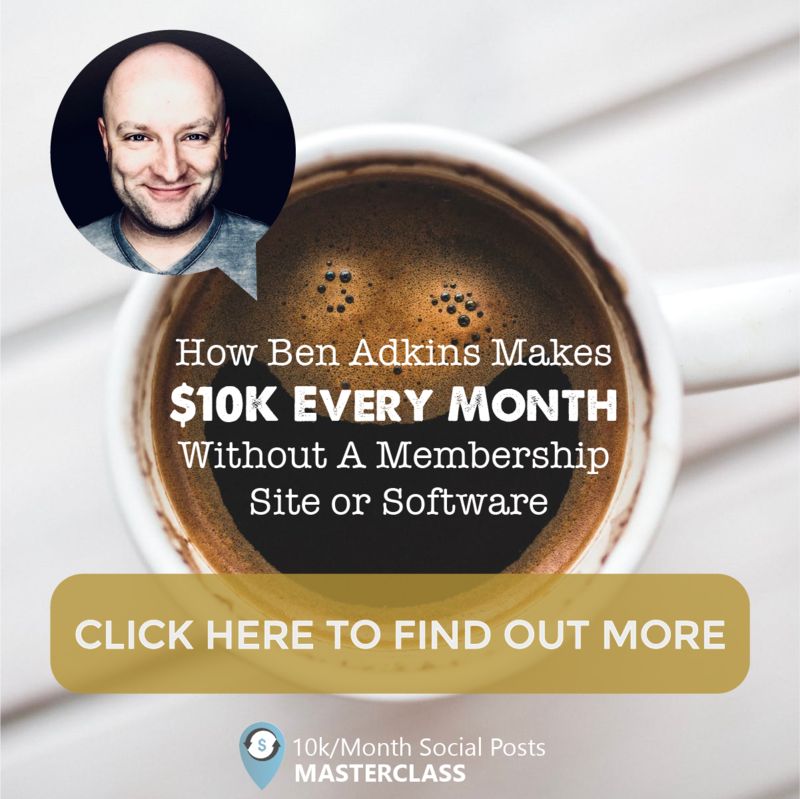 If you give yourself a 10 in that category (or even a 9.5), we award you with the title Grand Whiz of Facebook ads and leave you to work your magic. If you’re looking to boost your conversion rates, and ultimately your ROI, however, you’re in the right place. I’m here to give you the winning elements of Facebook ads to win News Feed attention, helping you hit the mark and achieve higher click-through rates from here on out. Finally, you’ll be able to create campaigns that feel right at home in your reader’s News Feed while delivering the best results. 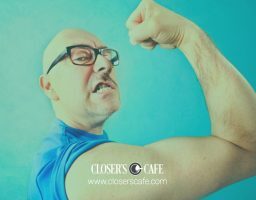 Word to the wise—not every tip is 100% bulletproof when it comes to Facebook’s constant flurry of updates and changes affecting business owners like you. Nevertheless, go on and grab hold of these hacks to test out what works for your advertising strategy. Let’s refresh your memory on a few checklist items you need to have marked off prior to creating that stellar Facebook ad of yours. (By the way, these were pulled from Facebook.com, so you know they must be 100% critical to the success of your ad). ✔ Know the audience. 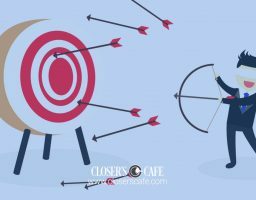 Who do you want to target with your ad? Hone in on the ideal gender, age range, interests, and all that good stuff before you dive into the creative—design and copy. That way, you’ll have a better idea of the design components and words to use to appeal to your intended readers. Plus, you’ll ensure your actual ad targeting is on point when it comes time to select the audience. *Learn more about ad targeting here. ✔ Know the topic. This is where completing the first two checklist items will come in handy. Think about your audience and what would be the most compelling offer for them to receive—something so good (and relevant) they just couldn’t pass up. Is it a new product or service to bring back old customers? An exclusive deal for those who present the coupon in the store? Knowing the subject or theme of your ad will help you tackle everything else that follows in constructing a champion campaign. Easy enough? Now, let’s dive on in. I’m not saying you should get all cute and look for your readers to decode your ad’s message. But, we all know News Feeds get crowded, and sometimes ads can blur together when mixed in with posts from friends and family. So, if you want to get the attention of your audience, you need to pick the right (and relevant) high-resolution image for your campaign (BONUS if it shows people using your product). One that uses contrasting colors—avoiding blending in with Facebook’s palette—and bold fonts that all relate to your brand. Doing so can immediately attract a good amount of eyes. 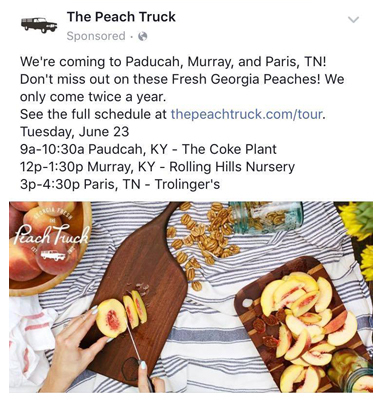 Take a look at The Peach Truck’s Facebook ad. Using color-saturated lifestyle photos of people enjoying its peaches definitely drove interest among its audience. But, the creative doesn’t stop at ad visuals. You also need to focus on writing snappy, memorable copy that gets noticed. From the headline to the text, and even the News Feed link description, keep the words short, sweet, and easy to understand. After all, now is not the time to try and sell your product or service. Instead, your focus is on encouraging your audience to click on the ad to learn more. So, don’t be afraid to try new things like incorporating emojis or a unique hashtag to your business. Just be sure, whatever you do, to avoid whipping it all together at the last minute—it could easily cost you. Each creative component plays an important role in getting you the conversions you’re aiming for. 2. Calls out the prospect’s ultimate problem. Your people need to know you’ve been in their shoes, or, at least, you understand what keeps them up at night. You reel them in, getting them interested in what it is you’re serving up, by calling out their ultimate problem. Consider this the ripping-off-the-Band-Aid phase. Yes, it hurts. A lot. But, it’s a quick wave of pain because, immediately following that moment, you let them in on a really good secret—how you can help them. That you have the answer on how to solve their biggest obstacle. 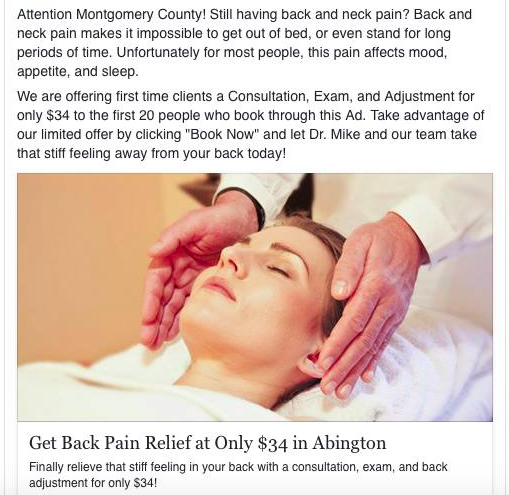 Take a look at this Facebook ad for a local chiropractor. Man, does it really call attention to effects of back problems or what? After ripping off that Band-Aid, the business provides an affordable answer to solve its audience’s excruciating back pain that’s getting in the way of living life. 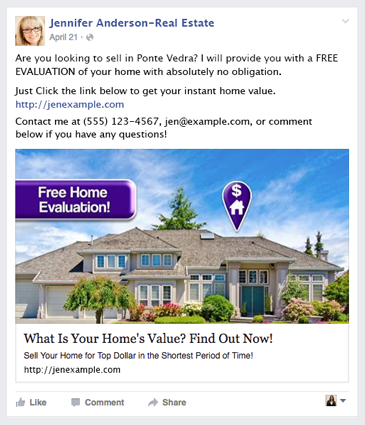 Yet, this element can be extremely tough to incorporate into your Facebook ad campaign. Reason being, the social media platform has some stipulations when it comes to referencing personal attributes or characteristics of the targeted group or individual. Take a look at Facebook’s advertising policies to ensure you handle this the right way, without getting your ad flagged. Ultimately, make your ideal customer’s pain point(s) central to your messaging in an appropriate manner, and offer up a solution that gets you noticed. Features = rational. Benefits = emotional. Which do you think gets greater results—talking all about your features or benefits? The latter, no doubt. 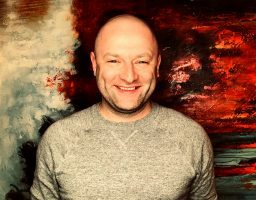 Benefits tug at your reader’s emotions, getting them to envision your product or service solving their ultimate problem and, as a result, making their life so much better. That’s good stuff right there. 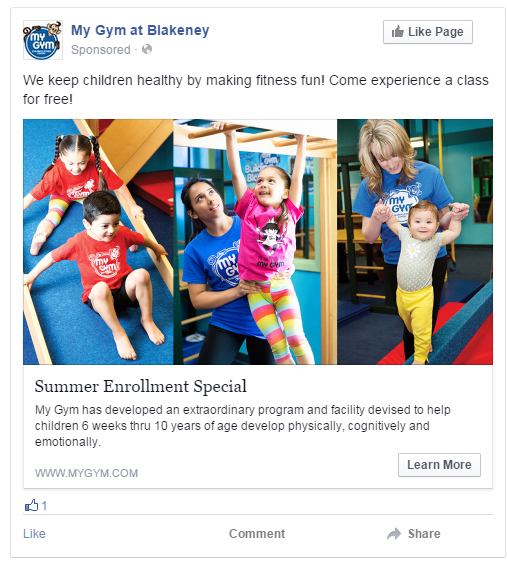 Take a look at My Gym Blakeney’s Facebook ad. It reels parents in—focusing on the health of their children, and the fun fitness classes and programs it offers. Now, this element isn’t placed here to give you the green light to become a master manipulator. But, emotions definitely play a big part in purchasing decisions. A straightforward list of features might catch the attention of the rational side of our brains. Tackling the emotional side with a specific benefit (or two) that delivers the most powerful message for your ad is what will push your audience a step further to take action. 4. Dishes out hard proof (aka the facts). Let’s say you’re grocery shopping and, from the corner of your eye, you spot the ice cream section. You then decide to take a stroll down that aisle and stand there with one pint of Rocky Road and one pint of Chocolate Fudge Brownie in your hands, trying to come to a decision. But, what do you do? You put both back on the shelf because you decided you’re trying to achieve that “summer bod” and ice cream certainly won’t help your case. You found an objection. Well, one thing you, as a small business owner/advertiser, must do when advertising your product or service is prevent objections. And, a simple way to do this is by making use of testimonials—hard proof that your customers have found success thanks to your offering. 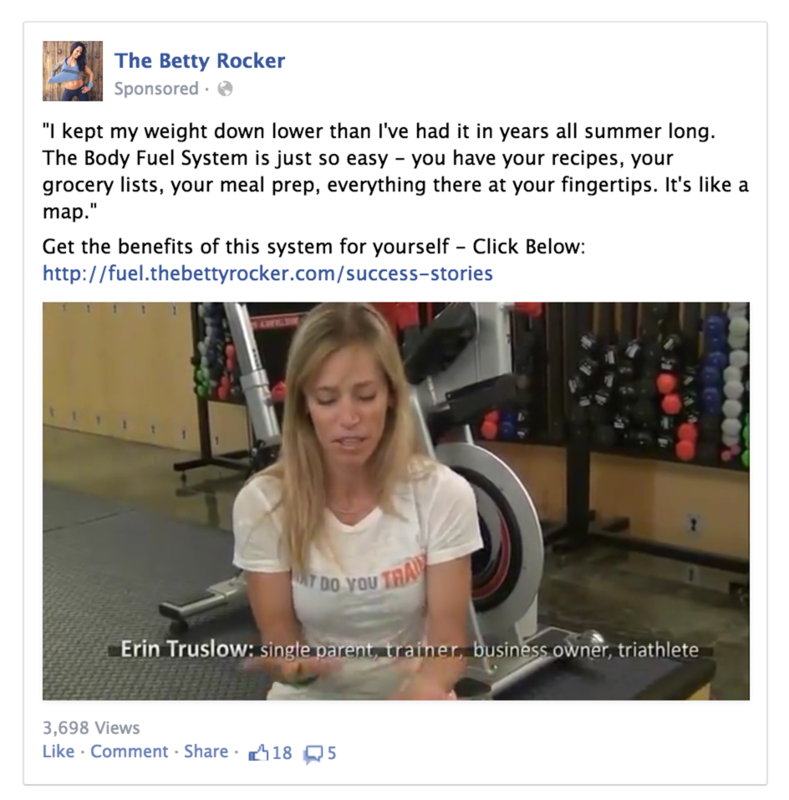 Take a look at The Betty Rocker’s Facebook ad. It leads with a strong testimonial explaining the benefits of the product, and concludes with a line encouraging the audience to experience the results for themselves. Thus, if you have strong testimonials or results of your product or service’s success, go ahead and inject them into your ad copy. These statements or facts will not only increase your audience’s level of trust for your business—eliminating all objections—but, also prove you’re worth their time and money. 5. Uses the ultimate power words. 6. Piques curiosity with a compelling value offer. Instead of focusing on selling a product or service all the time, some advertisers focus on sharing valuable insight—using it as a lead generation device while positioning themselves as an authority in the industry. 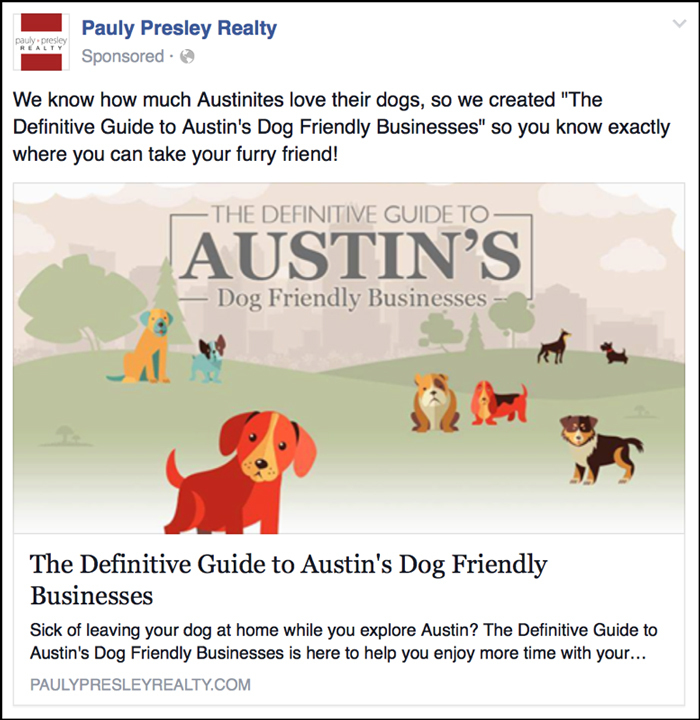 Take a look at Pauly Presley Realty’s Facebook ad. Instead of promoting new listings or its services in general, it crafted a free guide to dog-friendly businesses in the area. No longer will homeowners need to leave their furry friends behind while exploring Austin! In order for you to do this right, you need to first create a whitepaper, webinar, live talk, etc. to give away for free. Or, revisit all of the content you might’ve already created to determine which pieces are worthy of advertising. Then, build a dedicated landing page for it because you certainly don’t want to direct your clickers straight to your homepage. They’ll just be really lost and confused. This is a great tip to take advantage of, especially if you’re running out of ideas for your next ad campaign. After all, content marketing is a brilliant way to grow your business and show people you’re a trustworthy source of information. 7. Sprinkles in a hint of FOMO. The best ads give readers a polite nudge with a hint of FOMO—fear of missing out. No one wants to be left out of the “cool kids” crowd and lose out on a great deal. For that reason, make your audience think everyone else is already using your product or service and they’re the “last” ones to join the club. 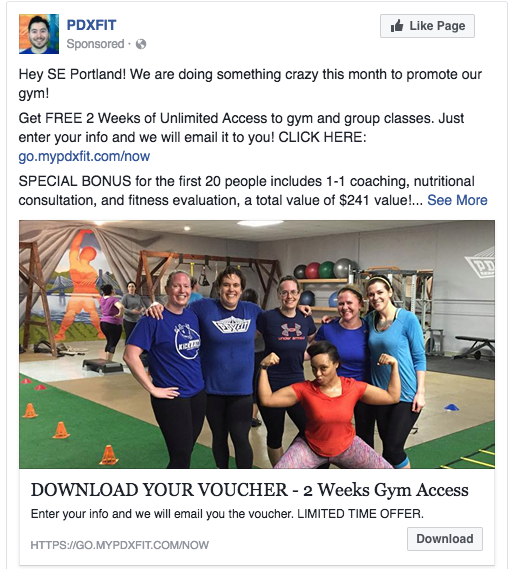 Take a look at PDXFIT’s Facebook ad. If you’re one of the first 20 people to enter your info and download the offer, you’ll get one-on-one coaching, a nutritional consultation, and a fitness evaluation, valued at $241, for FREE. If you were the target of this ad, I’m sure you wouldn’t want to miss out on that deal would you? 8. Features a hyper-specific call-to-action. Adding a call-to-action most likely won’t make your ad get noticed in News Feeds, but what it will do is enhance your overall conversion rate. Why? Because a hyper-specific call-to-action decreases friction. Once your audience clicks on your ad, they’ll know exactly what to do next, performing the desired action upon arriving at the destination—a landing page, shop page; you name it. 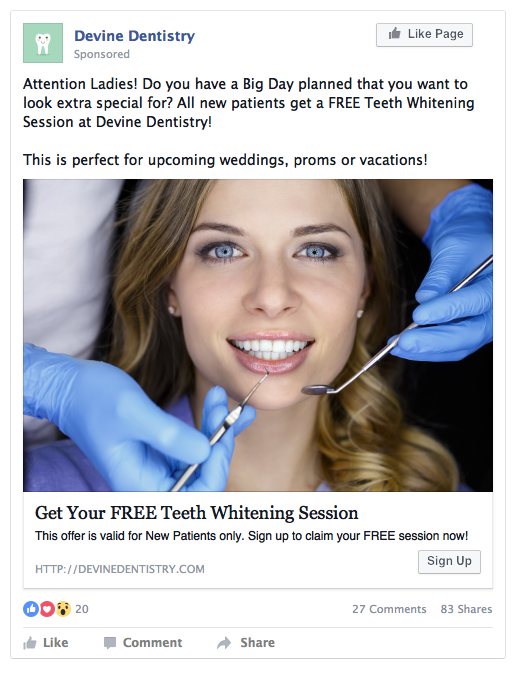 Take a look at Devine Dentistry’s Facebook ad. The call to action is included in the News Feed link description area, nicely tying into the ad’s button and overall offer. Whatever you do, however, be sure to use a specific action verb (get, do, try, start, find, learn). A single call-to-action that’s well written, and supports your creative and overall offer, will leave your prospects with only one choice to make—to click that button. 9. Adapts to real-time results. Ultimately, social media is all about immediacy. And, everything can change at the click of a button. So, the best advertisers keep an eye on performance to avoid letting their ad sit and crumble across News Feeds. When (and if) you start to see your numbers fall, adapt the creative to give results a boost. You can also adapt the targeting. To help you do just that, running Facebook reports in your Ads Manager will break down performance based on age, gender, country, region, placement, and much more. After you find out who is clicking on your ad, what device they’re using, and every detail that matters to you, you can go back and edit your audience based on those results. You’d be amazed at how such small, subtle differences can impact your campaign’s success. Now, over to you! You know Facebook advertising presents your business with a huge opportunity to reach a massive amount of people thanks to the platform’s growing number of users. But, it sure isn’t easy. Getting a return on investment from Facebook ads requires you to grind it out—put in the hard work and test, test, test. If you’re looking for a timesaver to start seeing speedy results from your ad spend, take these nine elements that have contributed to the success of many ad campaigns into account. When you do, you’ll be on the right track towards getting noticed in the News Feeds of many members of your audience. And, if you want more of what was shared here today, and help navigating the oftentimes-murky waters of Facebook advertising, join AdLab now. It’s your unfair advantage to stay ahead of the game (and never again getting left behind by frequent changes and updates). Have you already tried some of these strategies? And, what else do you consider when building Facebook ads? Let us know in the comments section below. We’d love to hear how it’s going and additional ways you’re optimizing your campaigns.